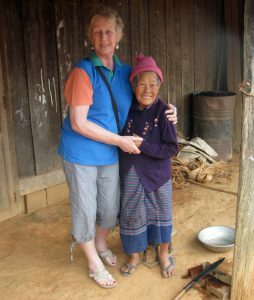 After travelling on nine other Wendy Wu tours, from China to India to Mongolia, their fifteen day Highlights of Laos tour looked to be the ideal choice for my next adventure. I knew there must be so much to see in this tranquil unspoiled country; and so it proved to be! Laos is a gem. A country that is 70% mountainous, the vistas are nothing less than breathtaking. Totally unspoiled and populated by a warm and welcoming people. The trip ticked all the boxes, not least our first-class manager and guide Phet who met us in Luang Prabang. 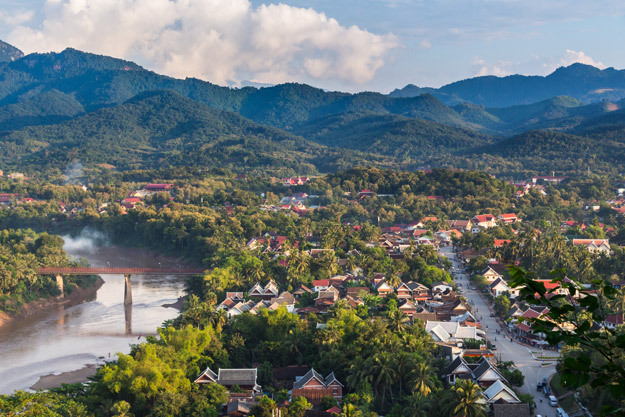 Situated in a valley at the junction of the Mekong and Nam Khan rivers, the once royal capital offered a wealth of attractions. We visited the famous Wat Xieng Thong: a sixteenth century Buddhist temple with a highly important and significant monastery. 329 steps took us to the top of Phousi Hill so that we could explore Wat Mai and see a panoramic view of the city. 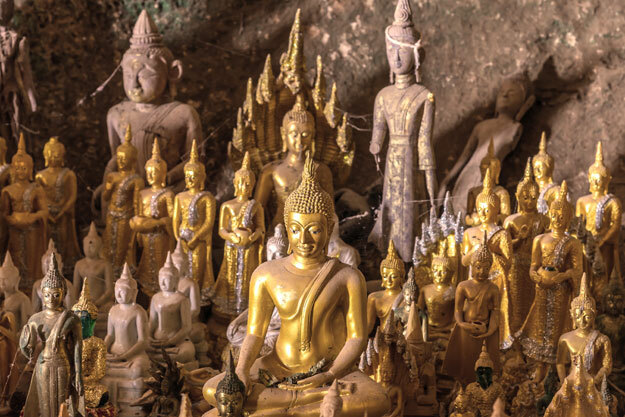 A boat ride along the Mekong and we arrived at Pak Ou caves, which contain thousands of miniature Buddhas brought by the villagers as a sign of their devotion. Last but not least, we discovered the tumbling Kuang Si waterfalls. Such a wonderful picnic spot! My personal highlight was taking part in the Takbat ceremony, where thousands of saffron robed monks collected alms from the locals. 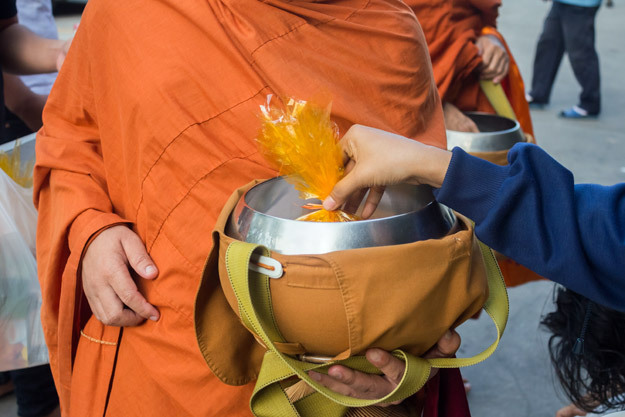 I was pleased to be able to add to their alms pots as they filed past. 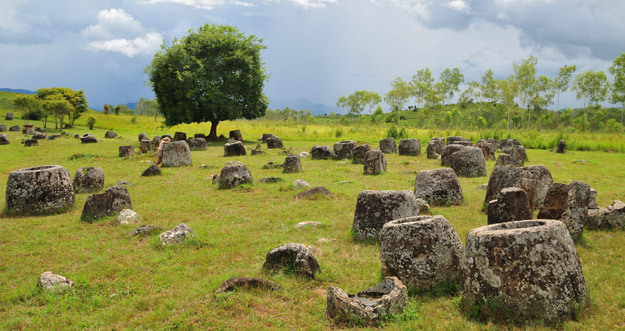 The Plain of Jars at Phonsavan is a collection of over a thousand iron age stone jars believed to be funeral urns. Over several sites and clustered in varying numbers, they differed in size. Some taller than a man, I was reminded of ‘Ali Baba and the Forty Thieves’! We appreciated our visits to the MAG and the COPE centres where we were pleased to learn of the progress being made in removing unexploded ordnance, and to the support given to those with physical disabilities because of exploding ‘bombies’. 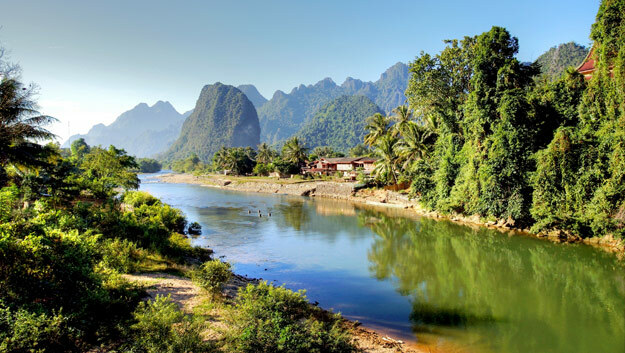 Passing through Vang Vieng to explore the Mag Tham Chang cave and admire the amazing views over the karst landscape, we arrived in Vientiane. 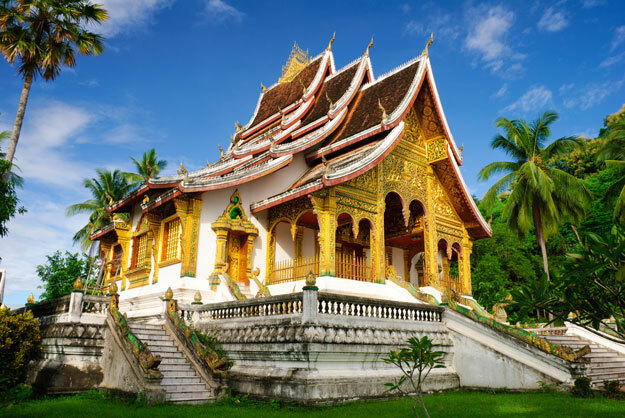 Laos’ small but charming capital, we visited the old restored temple of Wat Si Saket, whose cloistered walls displayed the incredible sight of no less than two thousand ceramic and silver Buddha images. 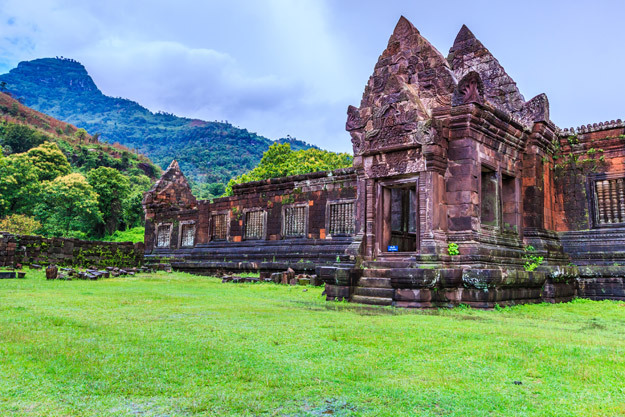 At Champassak we were treated to the site of UNESCO World Heritage listed Wat Phou, a ruined Khmer temple complex which predates Angkor Wat. The fifth century causeway leading to the archaeological site satisfied the most eager ‘lost city’ adventurers among us! 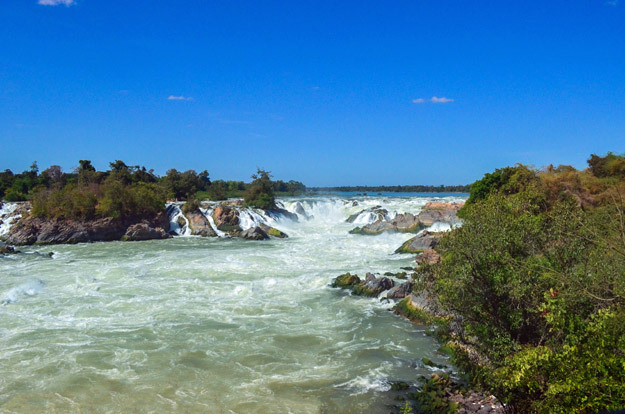 Our last days were spent near water, either on boat trips or admiring magnificent water falls. Arriving at Si Phan Don, meaning four thousand islands, we travelled by boat to take in the gorgeous views. 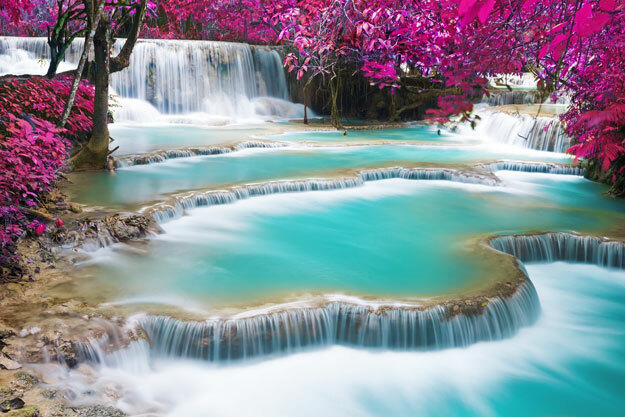 The Khone Phapheng waterfall was nothing less than spectacular. In conclusion, it was the most interesting and satisfying tour. Now I have returned, I am curled up on the sofa with various Wendy Wu Tours’ brochures. Is it too soon to be planning my next Wendy Wu adventure? 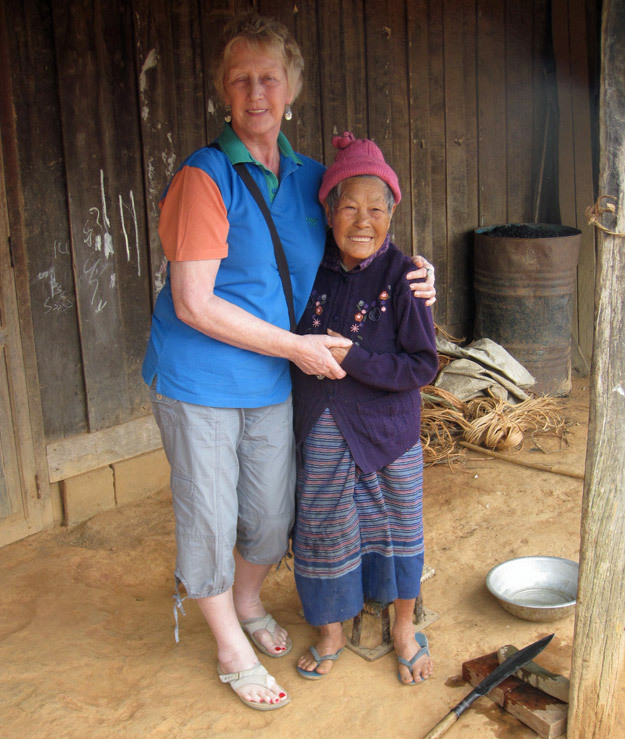 Choose from our fully inclusive Laos Tours with Wendy Wu Tours, the UK’s leading Asia Experts. 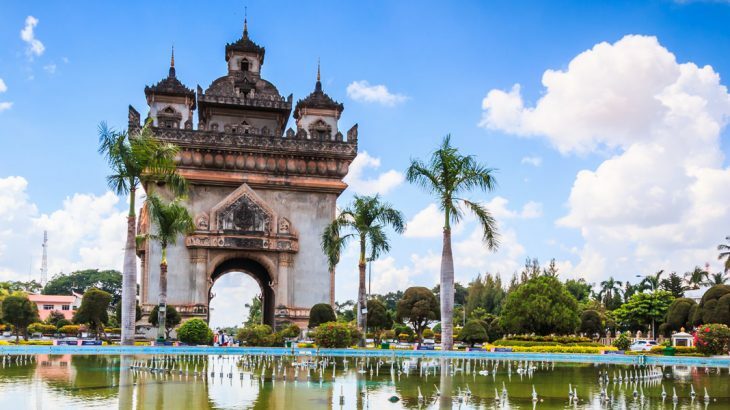 Our award-winning escorted tours visit all the major sights of Laos for an unforgettable holiday. 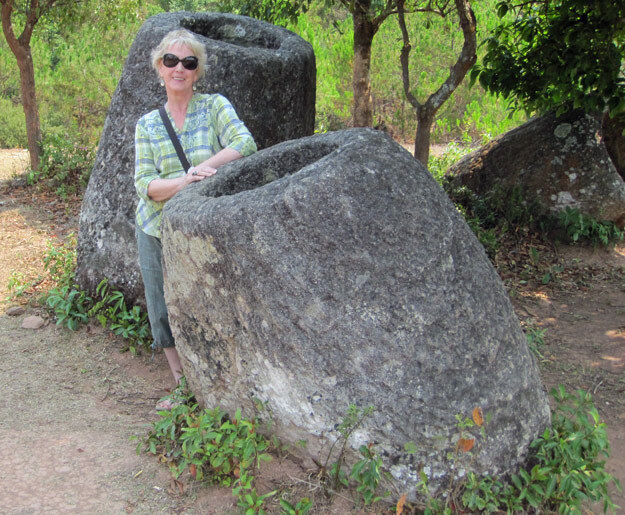 Laos culture, sightseeing, top things to see, tours, vip. permalink.